SOAR 2017 is just around the corner, and we look forward to seeing so many of our customers and partners at next month’s event in Chicago! Earlier this month, we announced a “Customer Spotlight” blog series designed to demonstrate how our customers are leveraging the BluJay Global Trade Network (GTN) to transform supply chain logistics. In the first post of this series, we took a ride with Volvo and learned how the carmaker gained end-to-end visibility into its logistic operations with BluJay’s Transportation Management. Today, we’re putting the spotlight on Crane Worldwide Logistics. Crane Worldwide Logistics is a full-service air, ocean, trucking, customs brokerage and logistics company headquartered in Houston, Texas. Like any logistics company with a worldwide footprint, Crane was seeking complete visibility across its global operations, but several obstacles were standing in its way. The company lacked insight into its worldwide partner ecosystem. 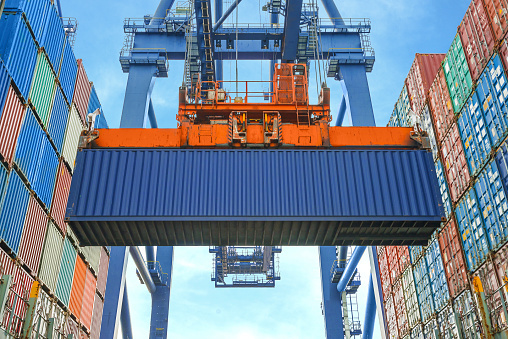 Freight forwarding and logistics information was siloed and error-prone. And it was using multiple third-party logistics and supply chain legacy systems that were cumbersome and disjointed. The compilation of these challenges resulted in processes that were inconsistent, inefficient, time-consuming, and costly, along with a lack of agility to respond quickly to changing business dynamics. Crane knew it needed a more efficient transportation management system and turned to BluJay for help. Using BluJay’s Transportation Management for Forwarders, Crane is now benefitting from a single, scalable freight forwarding system that supports all of its global operations and allows for end-to-end visibility, shared information, and agile decision making across its supply chain. Crane has also been able to transform and standardize business processes, resulting in greater efficiency, fewer errors, better regulatory compliance, and lower costs. Additionally, thanks to the combination of BluJay’s TMS cloud-based architecture and a phased rollout approach, Crane has achieved scalable global deployment and a fast return-on-investment. The company was able to get its U.S. operations up and running in less than four months, with Latin America and Asia deployed within the first year. BluJay’s Transportation Management for Forwarders is now operating successfully in 25 countries. Like Volvo, Crane is yet another great example of how companies can leverage our global logistics operating platform to enhance the visibility, transparency, accuracy, and speed of their supply chain, while achieving growth objectives now and in the future. Stay tuned for the next success story in our “Customer Spotlight” series.